They have patrolled the lightless depths of the ocean since the time of the dinosaurs. Those that dare to invade their waters die. Those that offend them are devoured. But now it is not enough to simply remain in the oceans. Now the weresharks, the Rokea, walk the land on two legs. Now the balance shifts and anyone who crosses them is prey. The Changing Breed Book series continues with a look at the savage defenders of the World of Darkness oceans. 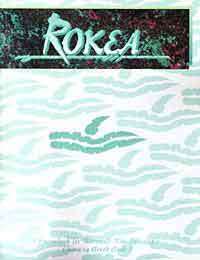 Rokea covers the bloodthirsty weresharks in great detail, including their society, abilities, mystical powers and goals. Whether you plan to add a new element to your existing game or try a new all-wereshark chronicle, its time to take your Werewolf game below the seas into the domain of the Rokea!